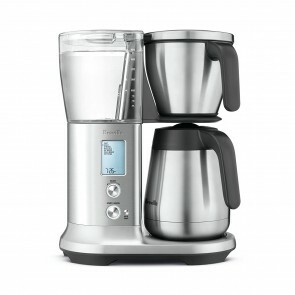 Do you like to brew your coffee at home? Then there’s one piece of equipment you’ll need for your kitchen: the drip coffee brewer. Also known as drip coffee makers or drip coffee pots, drip coffee brewers heat water and disperse it evenly and slowly across ground coffee beans. In most cases, set up couldn’t be easier. Simply fill your coffee maker with water, a filter and coffee beans, press a button and you’re good to go. To ensure that you get the highest-quality drip coffee in the shortest amount of time possible, it’s important to invest in a drip coffee machine that performs at a high level whenever you use it. 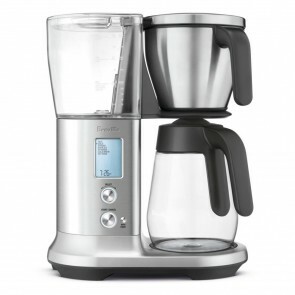 To help you find the best fit, here at Seattle Coffee Gear we proudly carry an extensive selection of industry-leading drip coffee makers at affordable prices. While the quality of drip coffee is determined in large part by the type of coffee beans used, a good drip coffee maker is also an indispensable part of the brewing process. High-performing drip coffee makers will not only ensure a higher quality of coffee—they’ll also brew coffee in less time than lower-grade drip coffee makers. At Seattle Coffee Gear, we stock only the best of the best to ensure that our customers get a great cup of coffee no matter which model they choose. 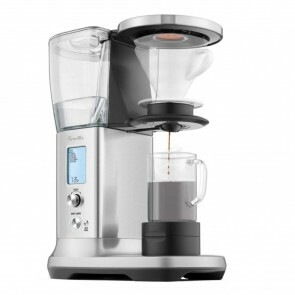 In our inventory, you’ll find single-serve drip coffee units and carafe drip coffee makers from industry-leading brands, including Bonavita, Breville, Technivorm and many more. Here at Seattle Coffee Gear, we want you to get the best drip coffee possible at a price that won’t break the bank. That’s why we stock our inventory with the industry’s best models at competitive prices. We’ve also compiled a host of product comparisons, reviews and drip coffee brewing tips to help you brew the best cup possible from the comfort of your home.